The 19th century was regarded as the Golden Age of Steam. In 1836, the first railway was built from London Bridge to Greenwich. In 1863, the first underground railway in London was completed and this changed the 19th century London for good. You can click on the maps of Victorian London to enlarge. There are several more Victorian London maps on the mapco site. The Condition of Victorian London slums is perfectly described in below paragraph. Wretched houses with broken windows patched with rags and paper; every room let out to a different family, and in many instances to two or even three – fruit and ‘sweetstuff’ manufacturers in the cellars, barbers and red-herring vendors in the front parlours, cobblers in the back; a bird-fancier in the first floor, three families on the second, starvation in the attics, Irishmen in the passage, a ‘musician’ in the front kitchen, a charwoman and five hungry children in the back one – filth everywhere – a gutter before the houses, and a drain behind – clothes drying, and slops emptying from the windows; … men and women, in every variety of scanty and dirty apparel, lounging, scolding, drinking, smoking, squabbling, fighting, and swearing. ate well, clean and well clothed. The traveling became a lot more easy and middle class and the wealthy class used this mode of transportation. The railways also helped in the expansion of the London city. The wealthy classes migrated to the suburbs leaving the poor in the inner city areas. In London, the first railway to be built was the London and Greenwich Railway. The fashion capital of Britain was the city of London. The women’s fashion underwent rapid changes. In the mid-1800s, women basically wore corsets, balloonish sleeves and crinolines. These crinolines flourished during the 1850s and 1860s. The bustle became popular in the 1870s. The women used to wear dresses with big padded shoulders to show off their class and poise. These dresses had a long or a short sleeve depending upon the season. During the Victorian period, women would completely cover their legs by wearing black stockings. In the later years, pants replaced the items that were used earlier. The skirts which had a straight fitting were now spread over large hoops. However, during the last few years of the era, hoop lost its hold and was immediately replaced by skimmer skirts. There was also a change in the sleeves of the dresses. The sleeves changed from slim to leg o mutton sleeves at the end of Victorian times. The corset was also an essential element in the women’s outfit and the purpose of this corset never changed. For a woman to be able to wear a Victorian outfit, she had to have a cinched- in waist. The Victorian women belonging to the upper and middle class had some liberty in respect of the evening. For evening apparel, women could bear the shoulders and upper part of the chest. The invention of Sewing Machine in 1851 led to the increase in the production of clothes. Men’s fashion did not undergo any radical change. Men wore Stovepipe pants during the initial years of the century. The men’s costumes were to be formal, sober and elegant during the work hours and otherwise. The basic feature of the Victorian men’s clothing was clean and basic lines, use of dark color and a detailed work of the costume. Men also wore corsets and with time, cinching of the waist was replaced by easy breathing loose jackets. During the Victorian era, men wore coats, vests and hats except when they were doing hard labor jobs. Any costume less then this was considered unsuitable. It was essential for a man to have a waistcoat or vest. These vests could be bright colors or dark shades and were used as an accessory to change the tone of the suit. Hats were considered as an integral part of the men’s clothes. There were a variety of hats to suit different occasions. Even men wore an accessory that suited their clothes. Men wore ties, pocket watches, a walking stick and adding to the outfit were gloves. Men’s trousers initially had legs covering in tight fitting cloth but, the fashion gradually changed to a loose tubular style. Straight slacks, with a crease in front & back were commonly seen by the end of the century. There was also a variation in the Day coats worn by men. These coats had changed into long frock coats, mostly in black color. Waistcoats or vests made from wool were commonly used for day wear or as an office wear. The 16th century witnessed the invention of lace which was used for men’s costume. The men’s clothes in the early years of the Victorian era were a bit subtle but were kind of colorful. For evening occasions, men generally chose to wear colors like brown, dark green, blue, violet and black. The use of Braid trimming with customary laces began in 1850s. The major change brought about in the clothing style was by Games and Cycling. With the continuous expansion of London, a need was felt to have a proper system of local government. Prime Minister, Robert Peel in 1829 established the Metropolitan Police who were given the nickname of bobbies or peelers. In 1855 Metropolitan Board of Works was formed in order to regulate the working of the local government. 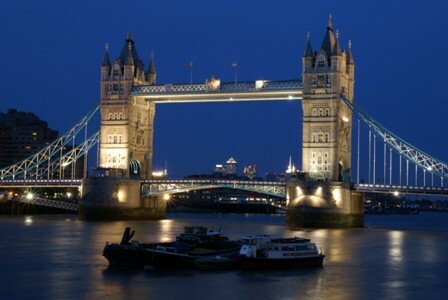 The city of London was famous for its fashion, industrial growth and some of the landmarks which complete London like Trafalgar Square, The Royal Albert Hall, The Victoria and Albert Museum and the Tower Bridge.